Age limit ( आयु सीमा ) : 28 years as on date of Walk in Interview, age relaxation to entitled categories as per SERB rules. 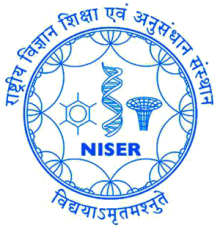 How to apply for NISER vacancy ( आवेदन कैसे करे ) : Interested candidates should appear for a walk in interview scheduled to be held on 13.02.2019 at about 03.00 PM at School of Chemical Sciences, NISER. They should submit their resume duly filled in all respect in the prescribed proforma (given in page 2-3 of this document) along with copies of all certificates at the time of interview with recent passport size photograph pasted on it. Original documents should be produced at the time of interview for verification. All candidates are requested to reach one hour before the scheduled time. No TA/DA will be paid to the candidate, for appearing in the walk in interview or joining the position. General instructions ( सामान्य निर्देश ) : The position is purely temporary for a period of one year or completion of project whichever is earlier but strictly co-terminus with the project and not leading to any PhD degree in NISER. It would, therefore, not confer any right/ claim, implicit, or explicit for consideration/ absorption against any NISER post.